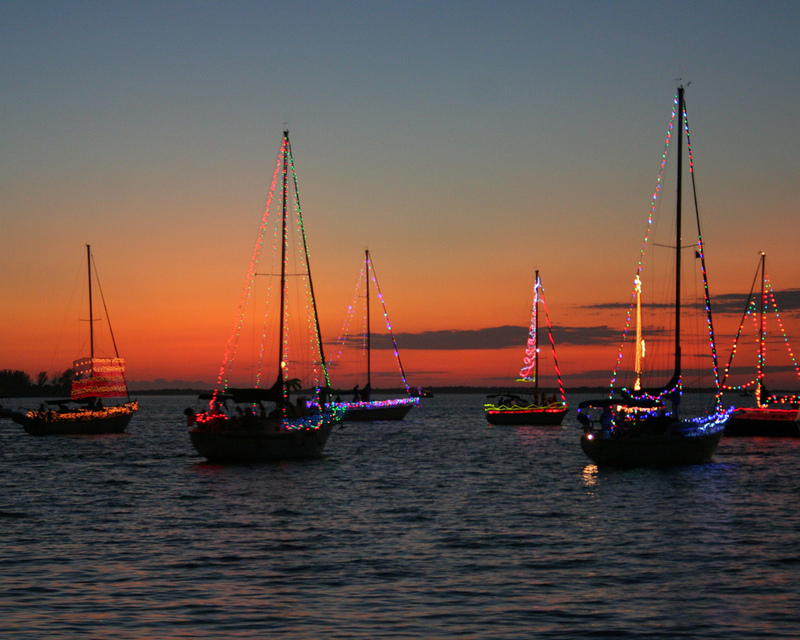 The annual Holiday Boat Parade in Dunedin, Florida is a beautiful procession of festively lighted boats that leave Marker 1 Marina on the Dunedin Causeway, head south through the Intercoastal Waterway to Marker 2, turn around and finish at the Dunedin Municipal Marina. 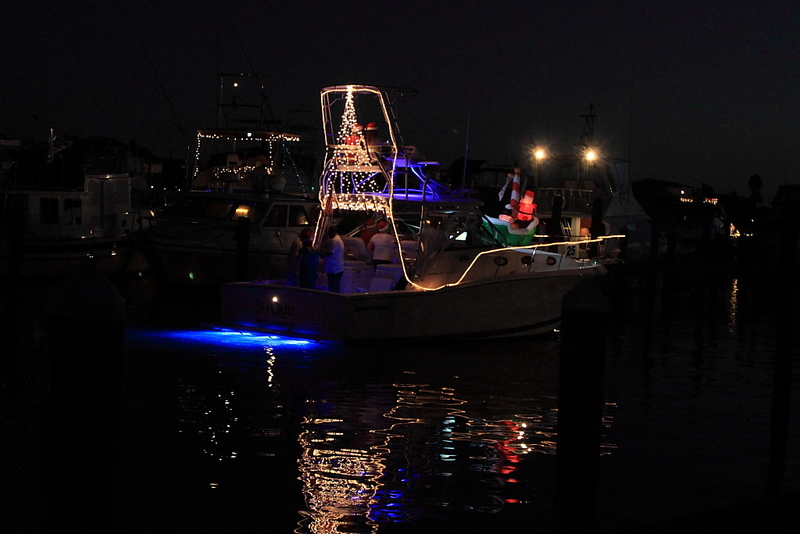 We were fortunate enough to live near Marker 1 Maria and saw a few boat parades from our back yard. 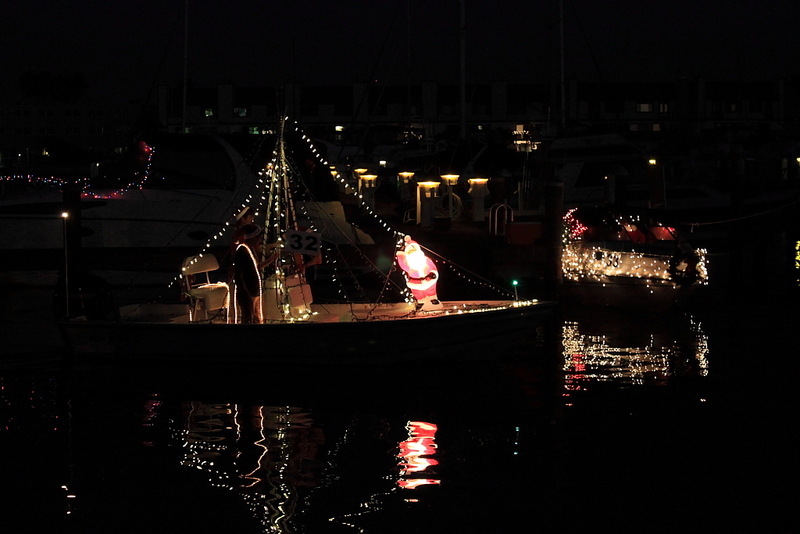 From our vantage point, we watched the boats leave the marina, head west and then south until they were out of sight. The parade starts around dusk and I was in an ideal location to get some great pictures, as you can see from the photo below. We now live on the other side of the marina and cannot see the boats exit into the Intercoastal. We are, however, closer to the action and can see people getting their boats ready. 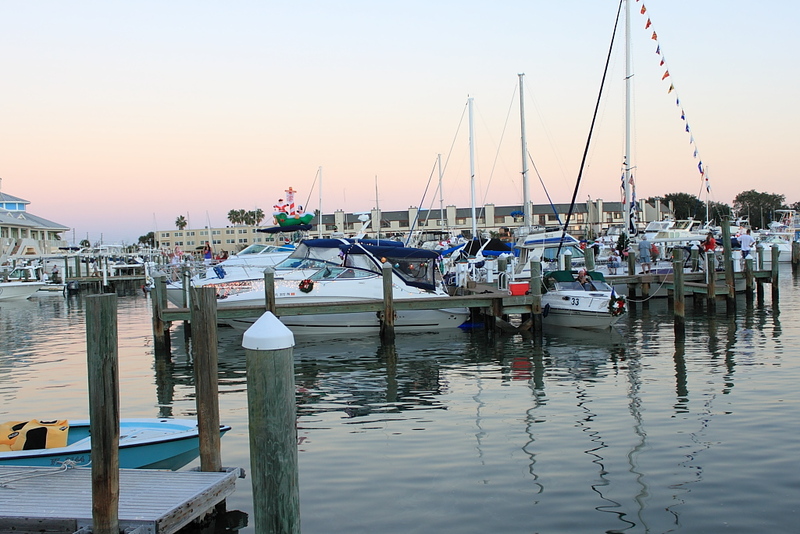 Before we were seeing more of the “big picture.” Now we get to see the people involved and get a closer look at the boats, although admittingly, only half the marina comes by our home. Nevertheless, it was very interesting to see the parade from a new perspective. People are getting their boats ready for the parade. A boat full of Charlie Browns. 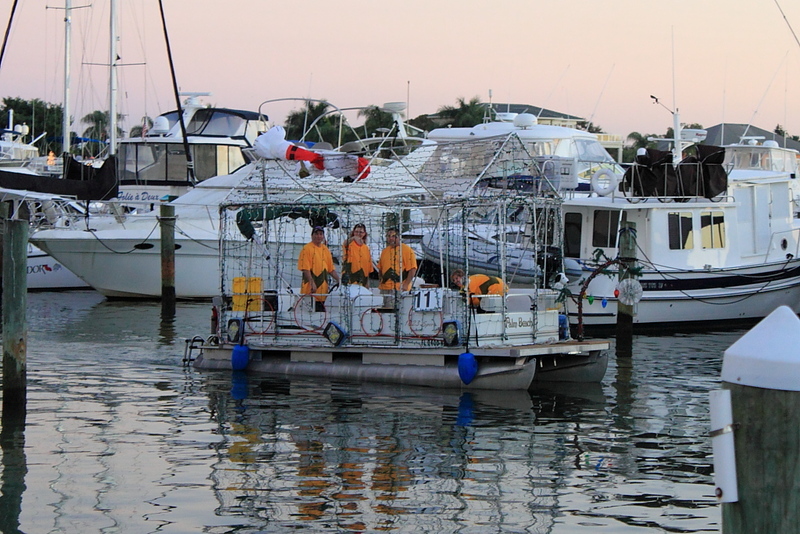 We saw a boat full of people dressed as Charlie Brown. That was something we would not have noticed from the other side. We yelled for them to turn their lights on but they had to save their power for the parade. 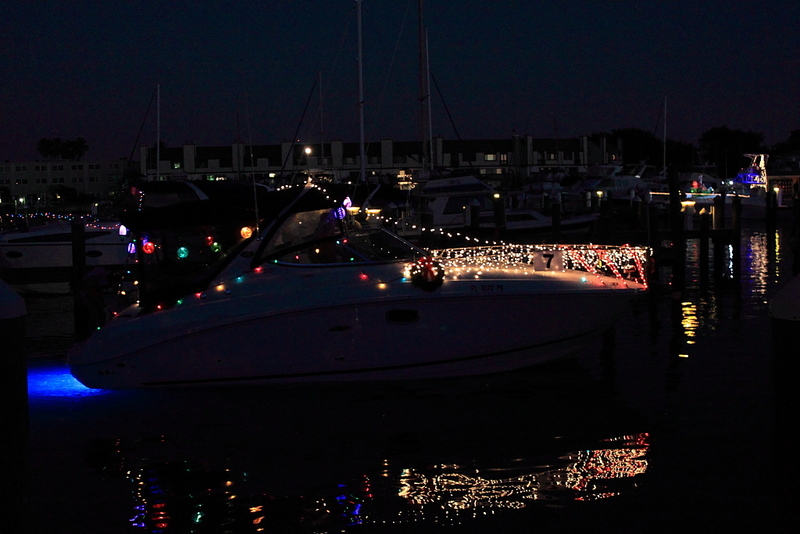 A few boats left with their lights off, which was disappointing but understandable since we were at the opposite end of the marina from the exit. 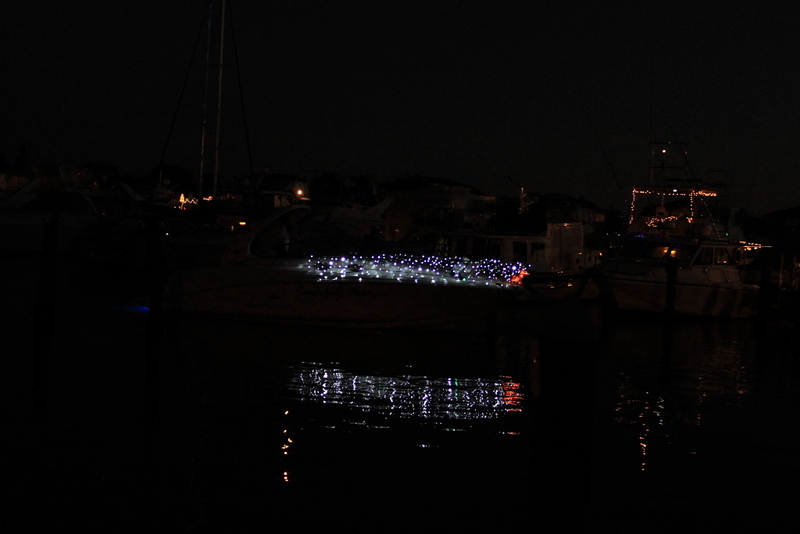 Daylight soon faded away and all the boats passing by us then had their lights on. 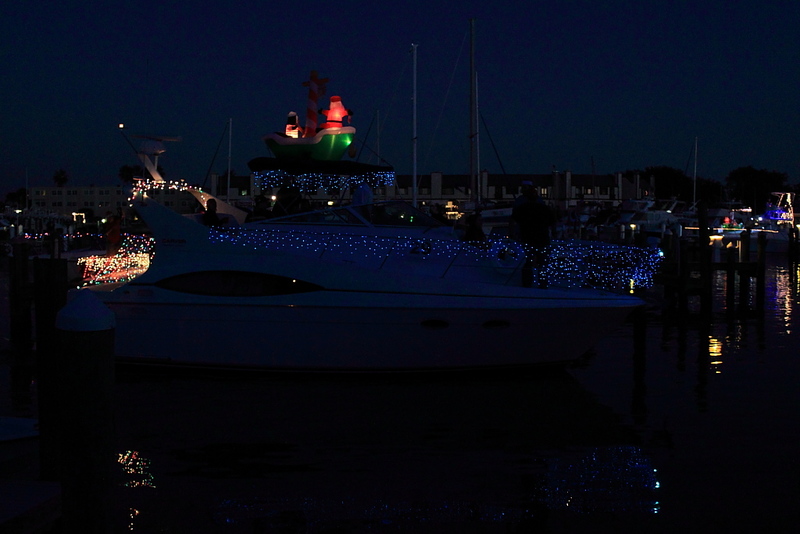 It was a beautiful night for a boat parade and from what I could see, Marker 1 did a great job getting the boats out in an organized manor. I am already looking forward to next year. 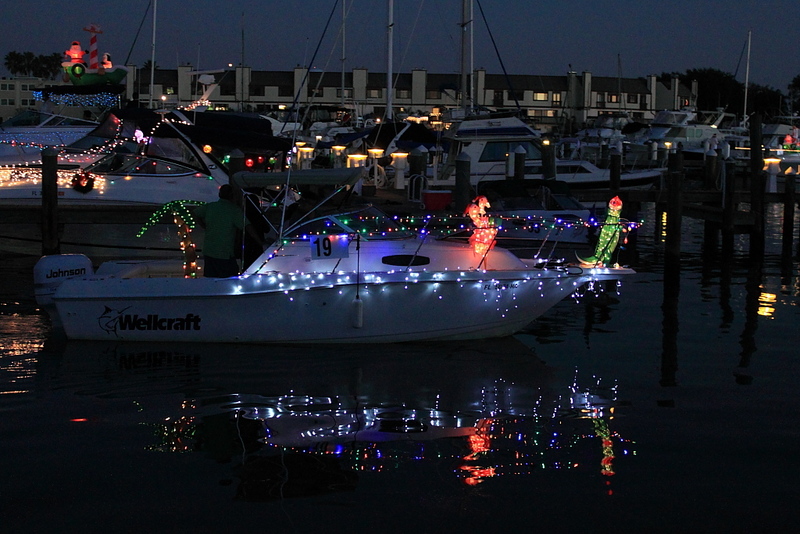 This entry was posted in Uncategorized and tagged Boat Parade, Christmas, Dunedin, Florida, Holiday, Marina, Marker 1 on December 9, 2013 by Chuck Huss.